I just got back from Kauai and was super excited to come home to a nice package in the mail. 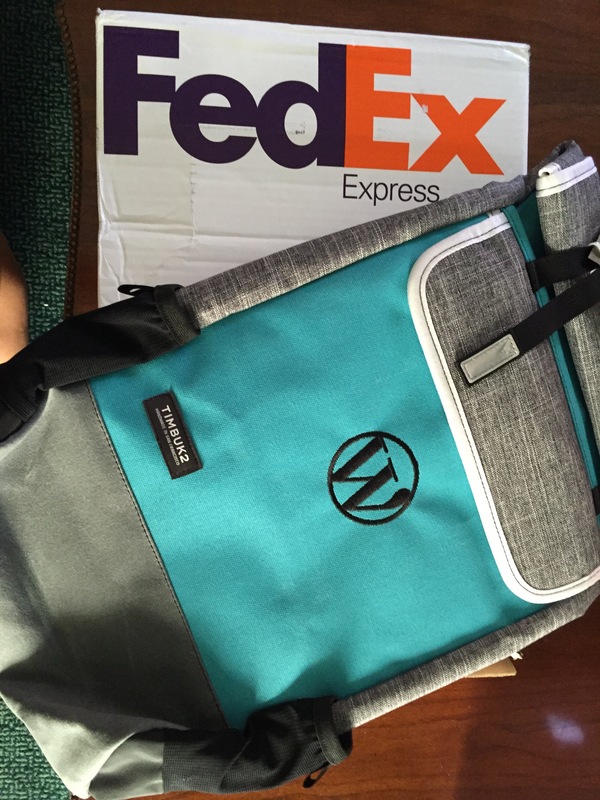 One of the many perks of working at Automattic is a free Timbuk2 bag. Basically it’s a one of a kind bag, because you get to design it. It’s made to fit your gadgets and Automattic had the WordPress logo embroidered on it. It’s super generous of Automattic. It’s quickly become my go to bag! That I take everywhere! Thanks Automattic!